Providing health care services to the residents of St. Joseph Island and the surrounding North Shore. At the conclusion of the “Great War”, the Canadian Red Cross Society was left with surplus money on hand, and conceived the idea of using it to establish “Outpost Hospitals” in places where they were much needed, and which have proved a great boom. The communities thus served, would have had little chance of hospitalization otherwise. The late Miss L. Grenville, Public Health Nurse for northern Ontario for fifteen years, appealed to the Red Cross Society to especially consider the great need of St. Joseph island, pointing out its isolation, particularly in spring and fall. Miss Wilkinson, then Superintendent of Outposts, came to our Island and held a couple of meetings, one at Richards Landing, and the other at Carterton Hall. This latter meeting was a get together of the Women’s Institute Branches of the Island. There was a good representation from the different branches; and Miss Wilkinson stated plainly the proposition the Red Cross would make with the Island people. 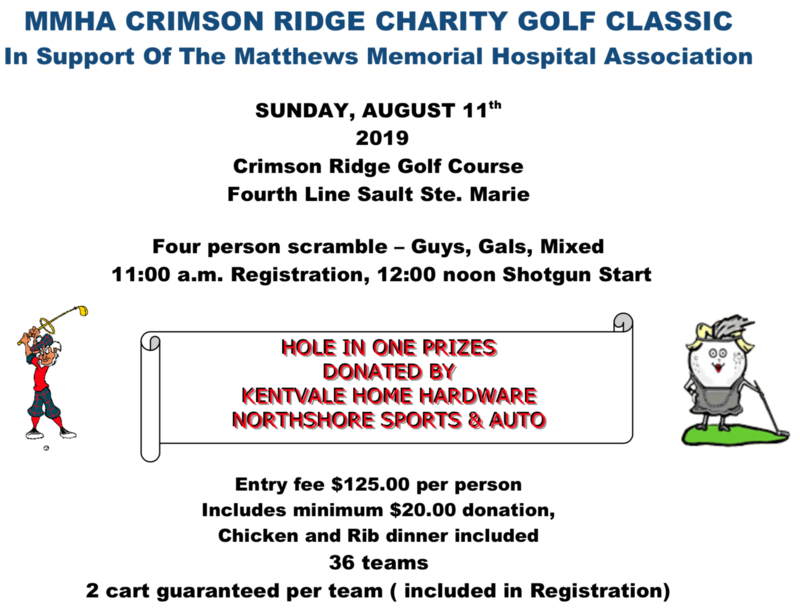 Four person scramble in support of Matthews Memorial Hospital Association. To raise funds for building maintenance, equipment and services provided in the St Joe Island Medical Center and at Matthews Memorial Hospital. Bylaw 4.02 Eligibility of Membership (Under Review) – All persons 18 years of age and over permanently residing upon St. Joseph Island or in the Townships of Johnson, Laird, MacDonald, Meredith, Aberdeen Additional, Plummer Additional, Tarbutt and Tarbutt Additional and in the Town of Bruce Mines shall be eligible for membership in the Association. A person shall not be considered a permanent resident within the meaning of this paragraph until after at least one (1) year’s continuous primary residence in the areas described. Notwithstanding the foregoing, no person is eligible to be a member of the Association if he/she is an employee of Sault Area Hospitals or its successor or an employee of the Matthews Memorial Hospital Association or any medical practitioner or his/her immediate family. Bylaw 4.04 Membership Dues (Under Review) – Each member shall pay to the Treasurer of the Association dues in the sum of one dollar ($1.00) on or before the annual meeting each year to be considered a member in good standing of the Association. Whether in memory of a friend or loved one, in support of one of the Association's fundraising drives or an annual contribution, donations through CanadaHelps.org with its 3% discount rate is the most economical way to support the Association for amounts of $750 or less. A receipt is issued and the funds deposited directly into the Association's bank account all electronically. 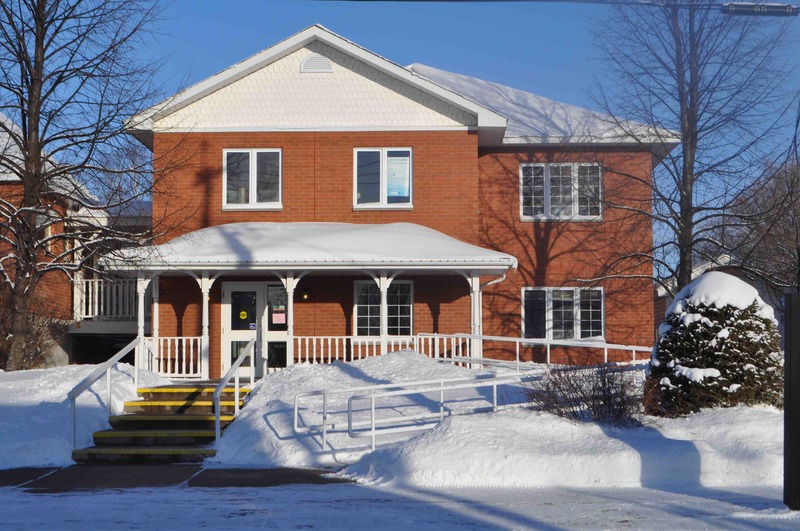 Wanted: Individual willing to work to help maintain excellent health care at Matthews Memorial and BridgeLink Medical Centre for the residents and visitors to our area. There is currently an opening to fill on the Board of MMHA. If interested, please contact Sheila Campbell, Chair, for details: 705.246.3078 or via email. The Matthews Memorial Auxiliary is instrumental in funding patient services and purchasing medical equipment. 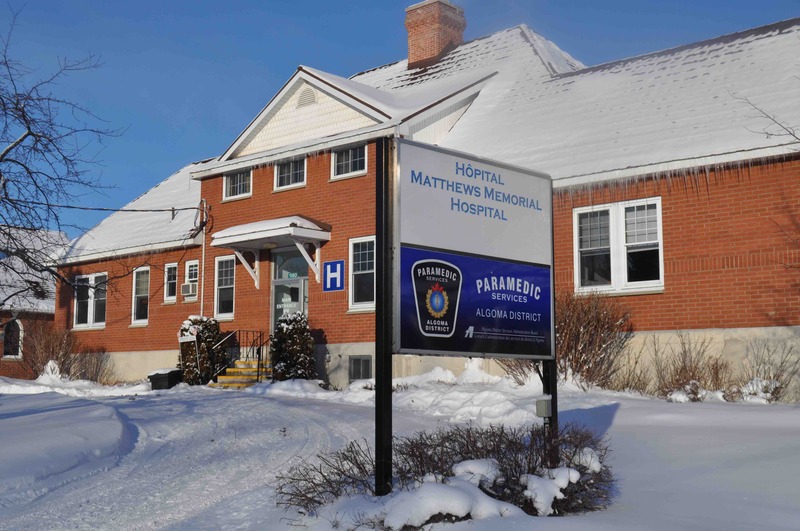 If you are interested in supporting Matthews Memorial Hospital through the Auxiliary, meetings are on the first Thursday of the month at 1:30 PM at the Fellowship Hall at Harmony St Marks United Church in Richards Landing. The Matthews Memorial Hospital Association (MMHA) is an Ontario non - profit corporation and registered charity. 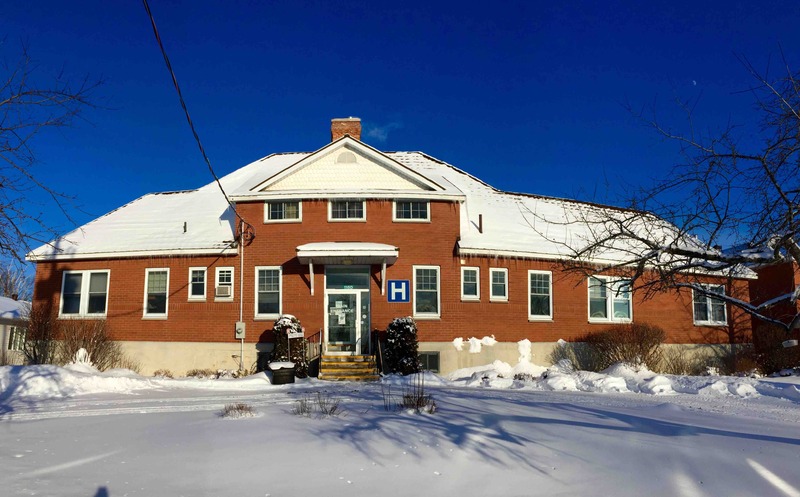 Founded in 1925, MMHA is involved in local health care services on many fronts - as owner of Matthews Memorial Hospital, the funding agency for the construction and ongoing operation of BridgeLink Medical Centre, and the lead community organization responsible for the delivery and enhancement of local health care services.